The new Chippewa Falls Fire Station No. 1 was greeted by Spectrum Industries with a donation of over $15,000 in furniture. Spectrum donated 16 Flex Flip Tables and an IMC Station for the Fire Station’s training room in March 2017. Located at 1301 Chippewa Crossing Boulevard, the new 20,000 foot building includes living space for fire fighters, an exercise room, kitchen, day room and lockers for storage. The new $5 million building also features six vehicle bays. 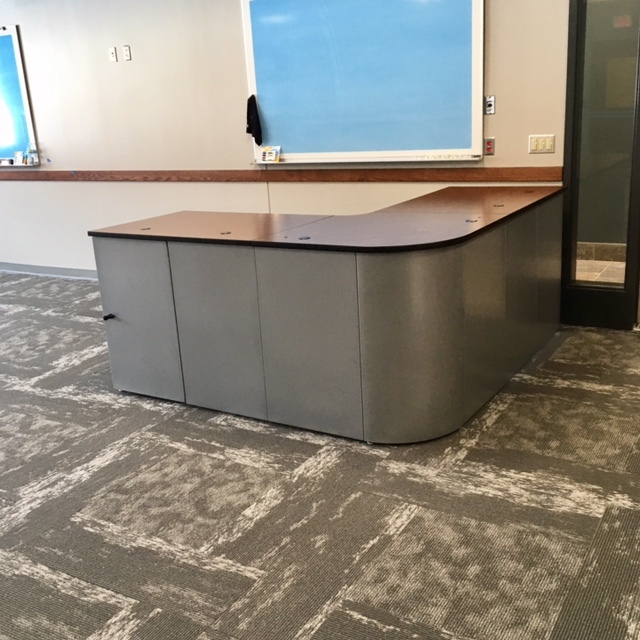 Spectrum Industries, a niche furniture manufacturer also located in Chippewa Falls, custom designed furniture for the new Fire Station. The Flex Flip Tables donated featured height-adjustable legs, power modules and locking casters for the table’s mobility. 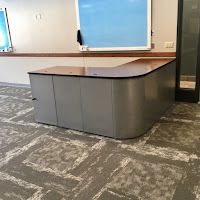 Spectrum designed the IMC Station with a custom laminate and silver base. “The community of Chippewa Falls is extremely important to us and we wanted to help in any we could,” said Dave See, President of Spectrum Industries.